So Debenhams asked me to put a mixer through its paces. Yes, I can do that. I feel like a bit of a mixer testing veteran these days! This came in the biggest box you have ever seen in your life, so I was pleasantly suprised that they hadn't sent me some huge industrial contraption for making 10,000 loaves of bread. 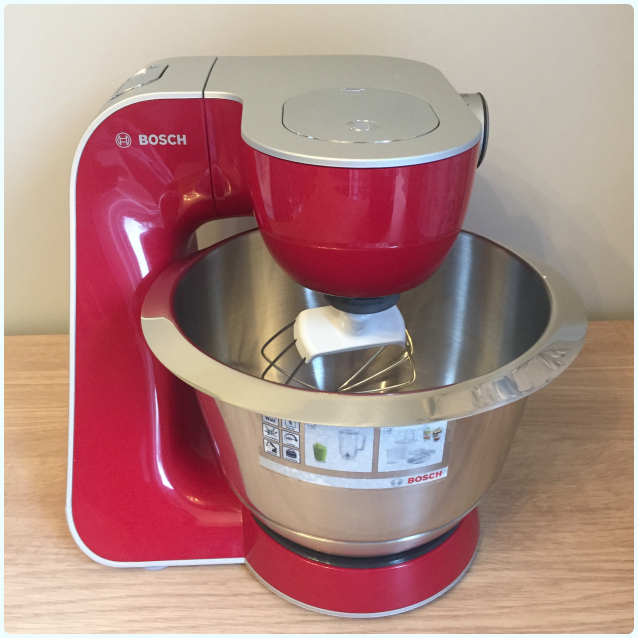 Nope, the Bosch 'Kitchen Machine' is a wonderfully compact machine, but also comes with a feast of goodies which make it far more than a stand mixer. Here's the low down. It does everything you would expect, plus a little more. I really like order, and things having 'their place' so I loved how easy this was to unpack, put together and store when not in use. I have to admit that I didn't read the instructions! It's also incredibly easy to move around if you need to as well. Moving my, 'other mixer' is a bit like power lifting at times, so this felt incredibly easy in comparison. Great value for money in comparison to other mixers on the market (see details below). Wider range of colours (this also comes in a nice teal colour, but I will always be team pink). The bowl is slightly smaller than other stand mixers, however I have to say it accommodated a large cake with ease. Cake mix does stick to the sides a little, so needed clearing down. Bakers will always ask the question about how it compares to the other mixers out there, so I have done you a quick overview. 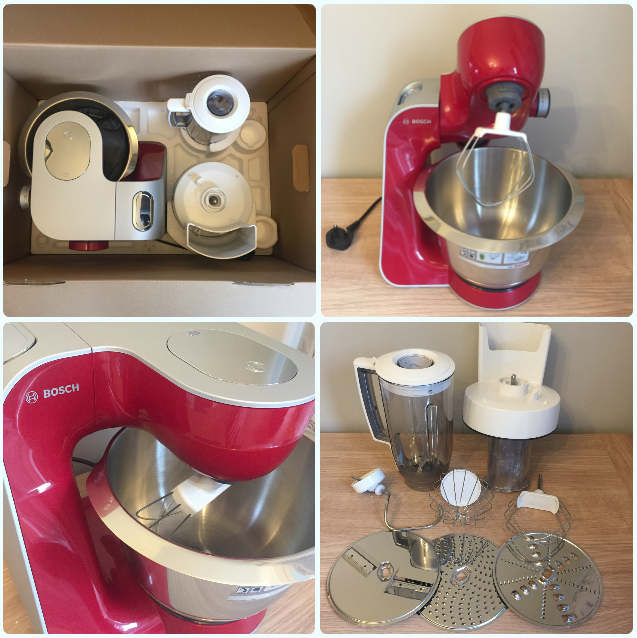 I have used both these other mixers, and in terms of performance, found no difference whatsoever in the quality of the cake they produced, because let's face it, much of that is down to the recipe and your kitchen skills. In conclusion, I would most definitely recommend this mixer. It would look at home in any kitchen, but I'd say it's particularly well suited where worktop space is limited. Stand mixers are great and look the business, but they also take up an awful lot of kitchen real estate. The Bosch model seems to cut out wasted space, without losing functionality. Cracking bit of kit. Disclaimer: I was sent this mixer to do an honest review. I was under no obligation to say nice things or admire its shineyness for so long.